Insulation Contractor Insurance Colorado. Whether you own a small business that installs insulation for residential properties, you own a large company that insulates commercial buildings, or you run a retail store that where your clients pick out the insulation products that they want - or you do all three - the services you provide for your clients are extremely important. CO insulation contractors install materials in new and existing structures to reduce or prevent the leakage or transfer of heat, electricity, or sound outside its intended area. Insulation may be done to conserve energy, to add sound - or noise-proof materials, or to add fire proofing to structures. Insulating materials may consist of batting, rolls or rigid materials that are installed in spaces between interior and exterior walls, foundations or ceilings. Your customers look to you to ensure that their CO properties are properly insulated so that they can better manage their heating and cooling costs; you are also expected to complete the services that you provide in a timely manner and on- or under-budget. Of course, you are also expected to get the job done without any issues. But despite all of your best efforts, issues can arise. That's why it's so important for insulation contractors to invest in the right type of insulation contractor insurance Colorado. 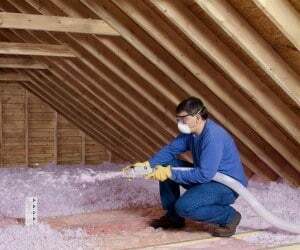 Insulation contractor insurance Colorado protects your business from lawsuits with rates as low as $47/mo. Get a fast quote and your certificate of insurance now. But, with the right insulation contractor insurance Colorado protection, you can avoid financial turmoil because instead of paying these expenses yourself, your insurance carrier will cover them for you. In other words, CO insulation contractors need to carry insurance in order to avoid serious losses that could potentially bankrupt their business. 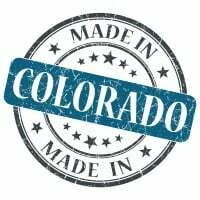 Request a free Insulation Contractor Insurance Colorado quote in Akron, Alamosa, Arvada, Aspen, Ault, Aurora, Avon, Basalt, Bayfield, Bennett, Berthoud, Boulder, Breckenridge, Brighton, Broomfield, Brush, Buena Vista, Burlington, Carbondale, Castle Pines North, Castle Rock, Cañon City, Cedaredge, Centennial, Center, Cherry Hills Village, Colorado Springs, Columbine Valley, Commerce City, Cortez, Craig, Crested Butte, Cripple Creek, Dacono, Del Norte, Delta, Denver, Durango, Eagle, Eaton, Edgewater, Elizabeth, Englewood, Erie, Estes Park, Evans, Federal Heights, Firestone, Florence, Fort Collins, Fort Lupton, Fort Morgan, Fountain, Fowler, Fraser, Frederick, Frisco, Fruita, Georgetown, Gilcrest, Glendale, Glenwood Springs, Golden, Granby, Grand Junction, Greeley, Greenwood Village, Gunnison, Gypsum, Hayden, Holyoke, Hudson, Idaho Springs, Johnstown, Julesburg, Keenesburg, Kersey, Kremmling, La Junta, La Salle, Lafayette, Lakewood, Lamar, Las Animas, Leadville, Limon, Littleton, Lochbuie, Lone Tree, Longmont, Louisville, Loveland, Lyons, Mancos, Manitou Springs, Mead, Meeker, Milliken, Minturn, Monte Vista, Montrose, Monument, Mountain Village, Nederland, New Castle, Northglenn, Olathe, Orchard City, Ordway, Ouray, Pagosa Springs, Palisade, Palmer Lake, Paonia, Parachute, Parker, Platteville, Pueblo, Rangely, Rifle, Rocky Ford, Salida, Severance, Sheridan, Silt, Silverthorne, Snowmass Village, Springfield, Steamboat Springs, Sterling, Superior, Telluride, Thornton, Trinidad, Vail, Walsenburg, Wellington, Westminster, Wheat Ridge, Windsor, Woodland Park, Wray, Yuma and all other cities in CO - The Centennial State.